I have TV box RK3128 with Android 4.4.4, ExoPlayer? 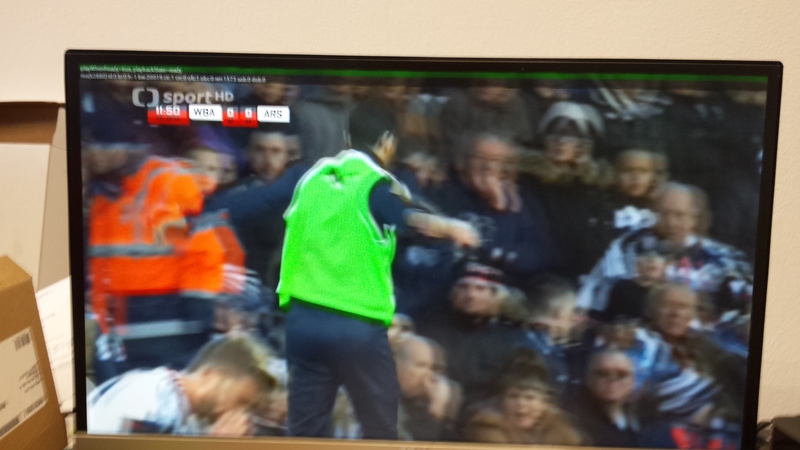 1.5.2 and I have problem with HLS (H265) playback with ExoPlayer?. My stream is played, I see/hear video and audio content. But one of the colors in video has small offset. Color offset is depended on video resolution. Other H265 demos (HLS or static from internet) play correctly without described problem. Therefore I think, this it is not a hardware specific issue. My H265 stream is created by ffmpeg and CUDA/nvenc_h265 codec. Other players (VLC, MXPlayer...) work without this problem (or does not play due H265 is not supported). 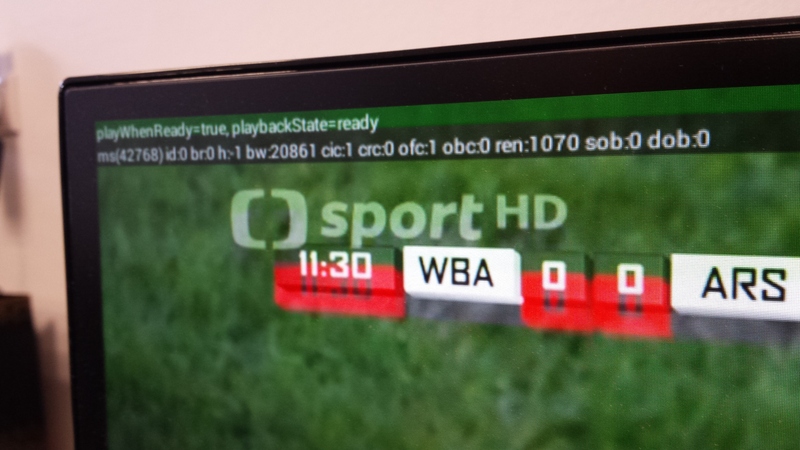 When I use libx265 codec (CPU) for H265 encoding, my RK3128 box plays stream correctly. I reproduced this issue on second GPU card, this is not GPU depended issue. I don't know where is the problem. I understand that problem cann't be in ffmpeg but in next susspect parts (CUDA, NVAPI, drivers...). Therefore, I would be willing to give something around the $150 for a fully working solution tested with my example live streams which I can provide. I can provide my stream URL by private. I can also provide SSH access to my dedicated streaming server with DVB-T card for any tries. My H265 stream is created by ffmpeg and CUDA/nvenc_hevc codec. Why do you think there is an issue that can be fixed within FFmpeg? It was written, I'm not sure where is problem (ffmpeg/CUDA/SDK/driver...). But CUDA, SDK, driver and VGA where several times changed with the same result. [h264 @ 0x2da8ea0] no frame! Is hls format needed to reproduce the issue or is also reproducible with mpegts output? I tried it as mpegts output and the result is also corrupted on RK3128 (as HLS). But on my phone HTC M9 with Android 5.1 plays without errors. I can provide RK3128 also for debug. Hey i have a similar issue. Did you found a solution? My stream plays on my iphone but on a STB doesn't work. No clue what to do. Yes we solved it. It depends on video resolution. The width of video must be divisible only by 16 (not 32 or 64). The height of video must be divisible minimal 32 (can be 64 or more).